So Nash wrote this piece about one of our primary schools with a great beach view and I wanted to share it with you. I thought he did a fantastic job describing this school with its unique location. Do you agree? 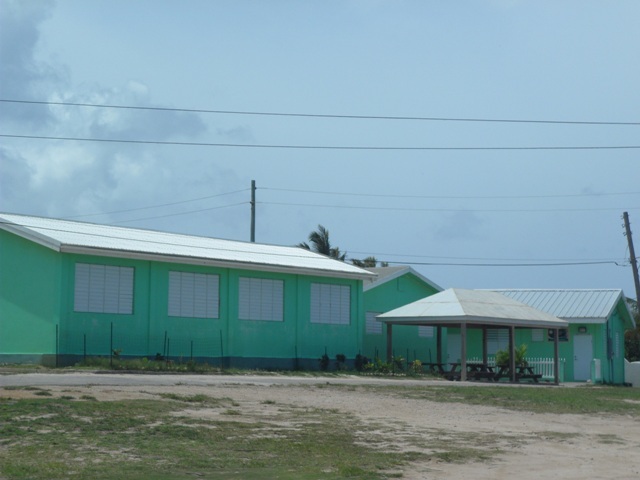 Primary schools are fundamental to the education system of Anguilla. Although each primary school contains essential elements found in other primary schools, they are still different from each other. The Vivien Vanterpool Primary School (VVPS) is as unique as any school can get. The Vivien Vanterpool Primary School is especially unique for its location, design, and classrooms. 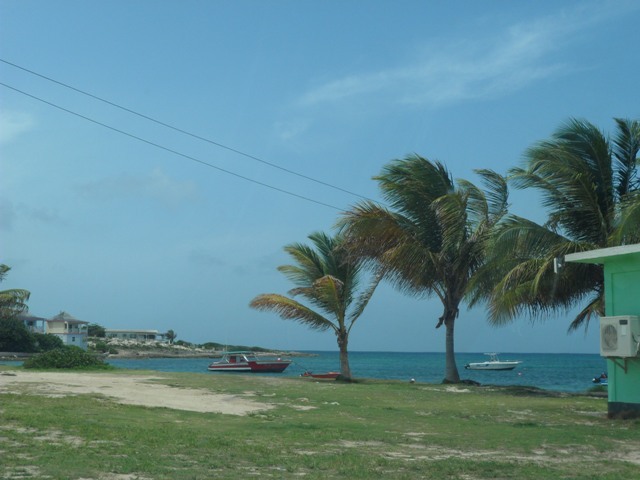 The Vivien Vanterpool Primary School boasts an interesting location with a beach view. 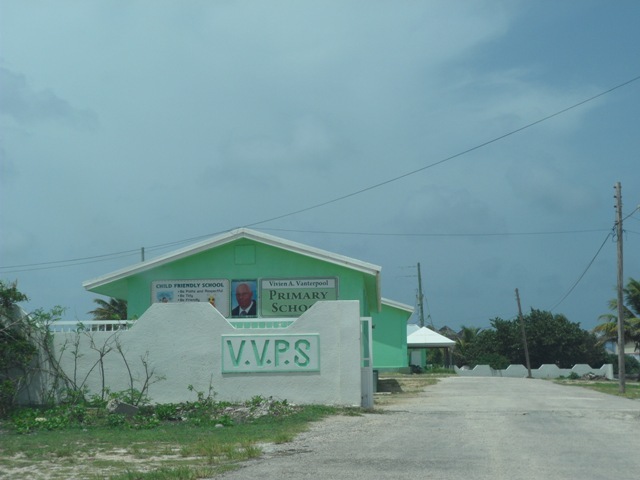 Tucked away on the eastern seaboard of Anguilla, VVPS sits only a few dozen meters away from the blue Atlantic Ocean. Although an integral part of its community, the VVPS hides itself in an array of small shrubs, and coconut trees, and delicious sea grapes. The VVPS owns a very scenic view. 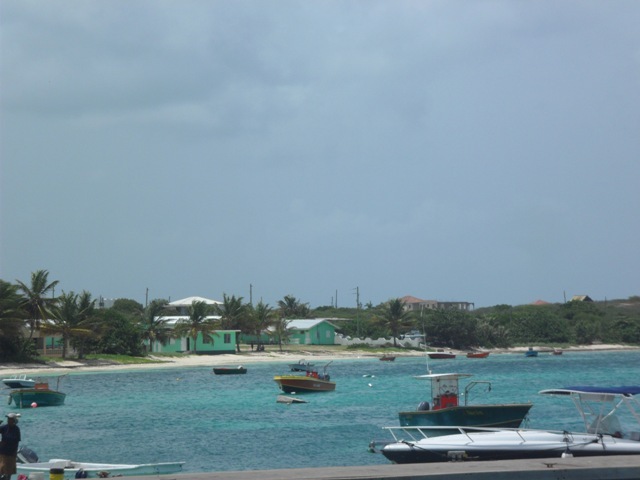 Several of Anguilla’s offshore cays position themselves directly within its face. And each day the blue ocean water takes its leave from under the bobbing fishing boat, and across the dark reef lines, up along the glistening white sands, just to be a part of the schoolyard if only for a few seconds at a time. The bright green of the school is only visible from the water or the wharf of the small fishing village. The school design is not visible from the main road. 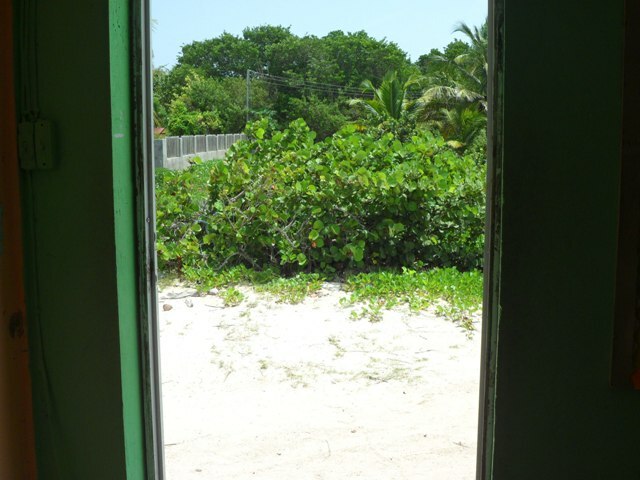 However, as one turns into the small tarmac road that leads to the school, the view opens up. The bright green colour of each building allures the eyes. Other than the continuation of the black tarmac road that leads to the principal’s office, a variety of grass and small brush litter the large schoolyard. The walls surrounding one third of the school also lends to the aesthetics of the schoolyard. They show off their intricate castle-like designs garbed in the school colours, teal and mantis green. Oblivious to the rows of benches sitting under their guard are the tall coconut trees whose main concerns are simply to grow taller than the principal’s twin flagpoles. The five close-knit buildings owe their structure to a 1971 design. Sets of white, louvered galvanized windows align themselves horizontally along the green wall of each building. White rafters peep out from the top of each wall. On the top of each rafter lies a set of silver galvanized sheets, which shield each room from the sun and also give a reminder of their presence each time it rains. Next to the windows stand wooden doors that lead away from the concrete corridors into the realms of imagination and experience. The classrooms open the mind. Facing each other from opposite sides of each room stands the dated chalkboard and the modern white board. Running alongside each board are a variety of posters and stickups that adorn the walls. A lone desk guards the entrance to each realm. It possesses the same brown tabletop as the others, yet a giant with more compartments. Its only friend is the chair next to it, also a giant compared to the others. Meanwhile, the smaller, brighter, and coloured chairs wait willingly upon the tile less floor, ready to host young minds. In a corner stands another desk furnished with a variety of equipment and toys of every subject. 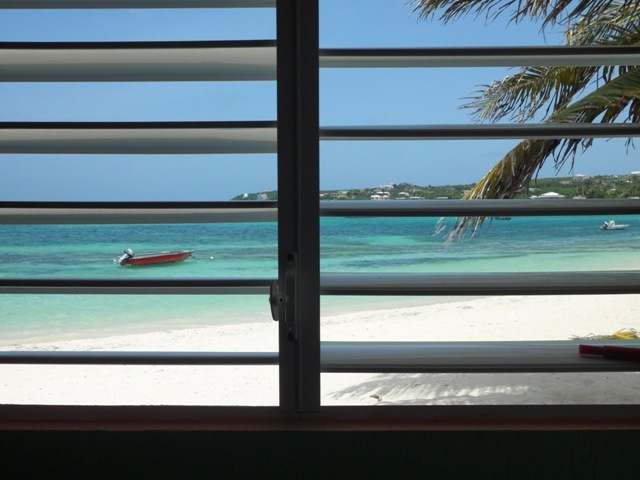 The rooms lack fan or air conditioning but a constant supply of sea breeze keeps the temperature just right. The calming atmosphere of the ocean waves crashing lends to make each classroom a land of learning. The VVPS is a unique school with a location, design, and classrooms like no other. It sits along the beach and surrounds the rest of its body within a forest of small bushes. Every day the natural environment becomes a part of the learning experience. Although the school was not built of a modern conception, it retains a traditional schoolyard design within an interesting yet important location of its community. The 40-year-old buildings with their traditional designs still maintain their original purpose of hosting schoolchildren. Each classroom contains old and new elements for learning, in addition to all the necessary equipment, amenities, and space that children need to learn and grow. NextTropical Treats Anguilla – A story so ‘Sweet’ that it must be shared! Part of the fun of staying at the Arawak Beach Inn is witnessing the children coming over for their pizza or candy treats! They are very happy and friendly young people and a joy to experience. Wow. That is great. I love that little tidbit of the Anguilla experience. I hope you visit us again soon. I love it when I’m on island and staying at the Arawak Beach Inn and the school children come in during their breaks. In fact, the Arawak is having their annual Caroling event on Dec. 20th at 6.00pm and a collection will be gathered for the Vivien Vanterpool Primary School. Thanks Monica. I think it is great that the hotel welcomes the students and that they give back so regularly as well. I hope you will be back soon.